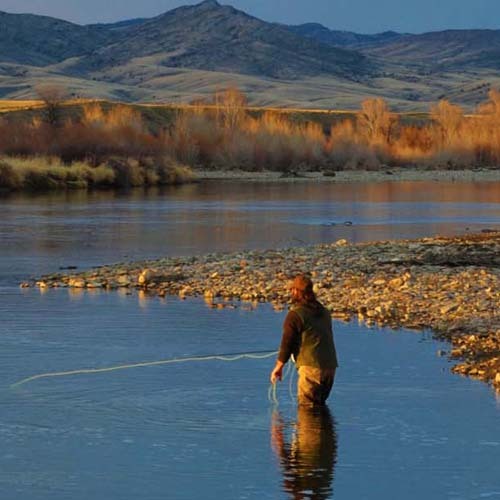 Looking for the best in Montana fly fishing trips? Look no further! We service over 95% of Montana’s Blue Ribbon trout streams and lakes. We offer all the equipment needed to get the job done. We do not charge for flies, leaders, or rod rental. When we take that photo of your catch of a lifetime, we give it to you for free. P.S. Our riverside lunches are to die for. Call 406-210-0971 or email us to reserve your 2015 fishing spot! 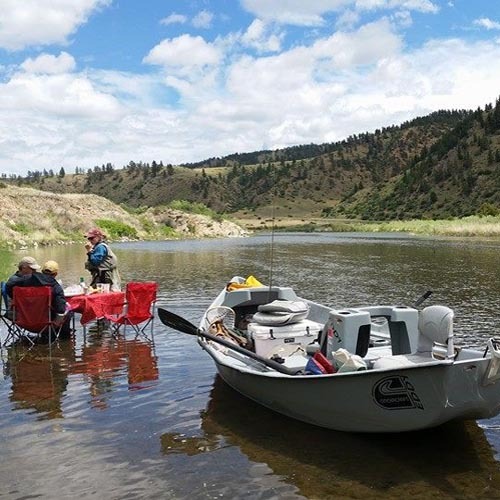 A full day float trip with Montana Fishing Company starts with your professional guide meeting you at your choice of location. Montana Fishing Company offers all the equipment to get the job done. Our professional guides will offer instruction based on your ability. Our riverside lunches range in variety from grilled, gluten free, vegetarian etc… Transportation to and from the river is provided. Montana fishing license should be purchased ahead of time so we can spend as much time fly fishing Montana’s world famous rivers. A 2/3rd day float trip with Montana Fishing Company starts with your guide meeting you at your location of choice. MTFC offers all the equipment to get the job done! Our professional guides will offer instruction based on your ability. Snacks and beverages will be provided. Snacks range in variety please let us know if you have any food concerns. Transportation to and from the river is provided. A Montana fishing license should be purchased ahead of time to ensure we have more time on the water. The Montana Fishing Tour is the best bang for the buck. This is known as the Montana Fly Fishing Vacation bucket list. The river include the Blackfoot, Missouri, Yellowstone, Madison, and the Bitterroot. We offer five days of float fishing on five of Montana’s best Blue Ribbon streams for $3950.00 per angler. This tour was designed by Scott Anderson to be a bucket list fly fishing vacation. We like to mix it up a bit and not do the same thing day in and day out. I came up with the the Montana Fly Fishing Tour because I was tired of being on the same river in the same region every year. I thought that it would be a great expedition for clients to enjoy and still have the comfort of a lodging and a hot shower.The limit is 6 anglers or three boats. We are unable to provide alcoholic beverages, a Montana fishing license, and gratuity. 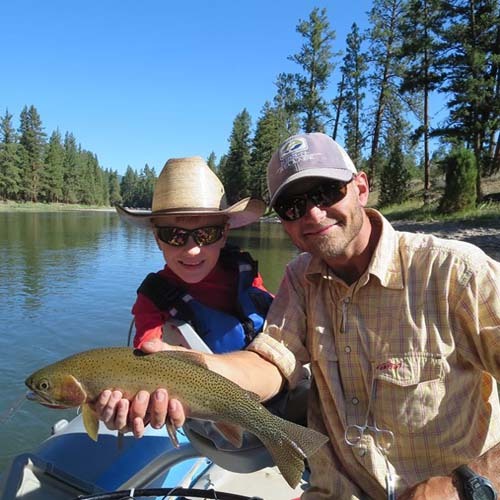 Montana Fishing Company offers wade trips on Missoula, Montana, Craig, Montana, Bozeman Montana, Ennis Montana area rivers including the Blackfoot River, Clark Fork river, Bitterroot River, Upper Rock Creek, Missouri River, Madison River, and Yellowstone River. We also take you to other locations that are off the beaten path referred to as RIVER-X.! We provide all the equipment to get the job done including Flies tippet leaders and fly rods! Our Montana Fly Fishing Guides know how to pace your group so everyone has a fun and safe day on the water! 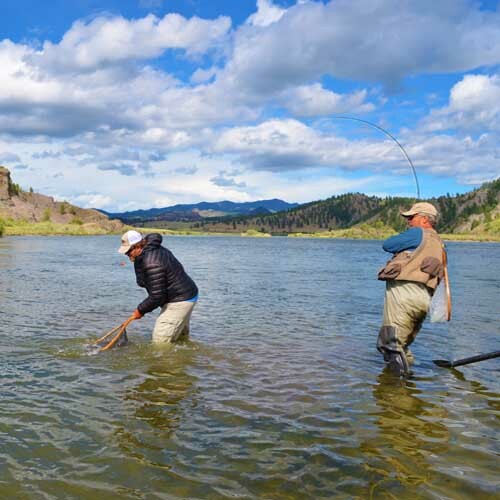 Montana Fishing Company offers wade trips on Missoula, Montana, area rivers including the Blackfoot River, the Bitterroot River, and the Clark Fork River. This trip is designed for the angler on the go. If you have a canceled flight or a meeting in the morning. Let Montana Fishing Company fill that time gap with a quick trip to the local rivers around Missoula, Montana. 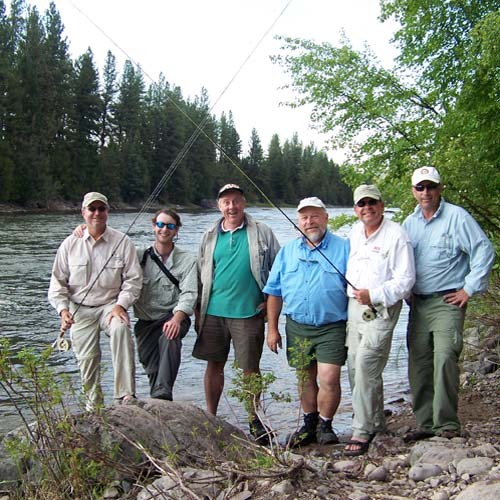 Our Missoula Fishing Guides know all the secret spots around town! Some of the best fishing is just out the back door! Our Missoula Montana fly fishing guides are not limited to just a few rivers. We also have guides in Bozeman and Craig, Montana. 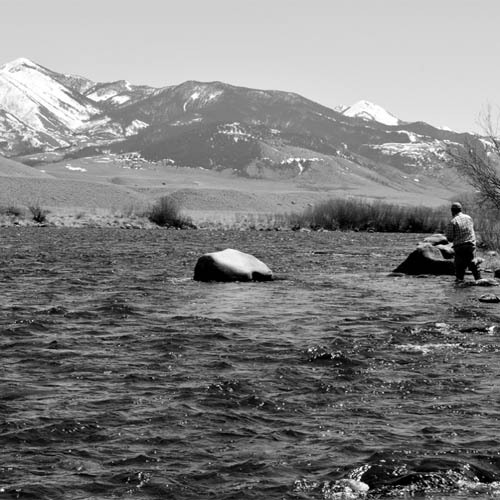 We are licensed to fish over 95% of Montana’s rivers and streams. We believe that to truly enjoy a river you should see all of it, not just bits and pieces of it. That is why we offer float tips for the entire river of your choice based on a daily rate. There are over 400 miles of fishable river in Missoula Montana to explore. Flies that work well on one section of the Blackfoot River, located just outside Missoula Montana, may not work well on another section. It is amazing to see the different hatches take place on the entire stretch Bitterroot River located just south of Missoula, Montana. The Clark Fork River runs through the heart of Missoula, Montana, and is a different animal altogether. One can cast streamers to the undercut banks on the upper section and shoot to rising lunkers on the lower section. Join us in Missoula Montana for a quick getaway! You will arrive in Missoula Friday night and check into the Double Tree Hilton in Missoula, Montana. 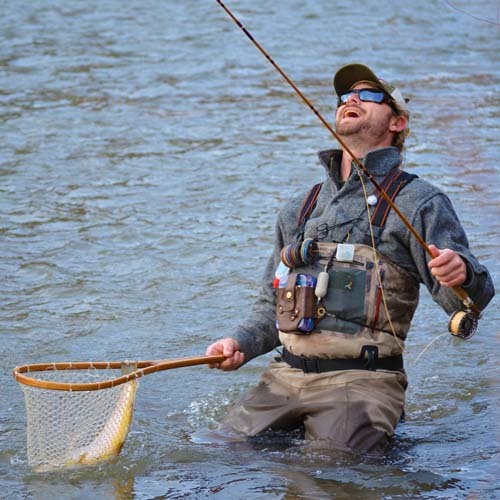 Your day of guided fly fishing will begin Saturday morning. You can count on your guide to put you on the fish and chose the stretch of the river you will float. You will be back in Missoula in time for the night life. Sunday you can expect more stress free relaxation. A Montana fishing license should be purchased ahead of time so we can spend as much time fly fishing Montana’s world famous rivers! The cost of this package is $695.00 per person minimum of two people or $1390.00 for couples. It is a great way to unwind with friends for the weekend before you have to go back to work!